Who will become the next person to be titled the World’s Greatest HPF Bench Sitter ??? 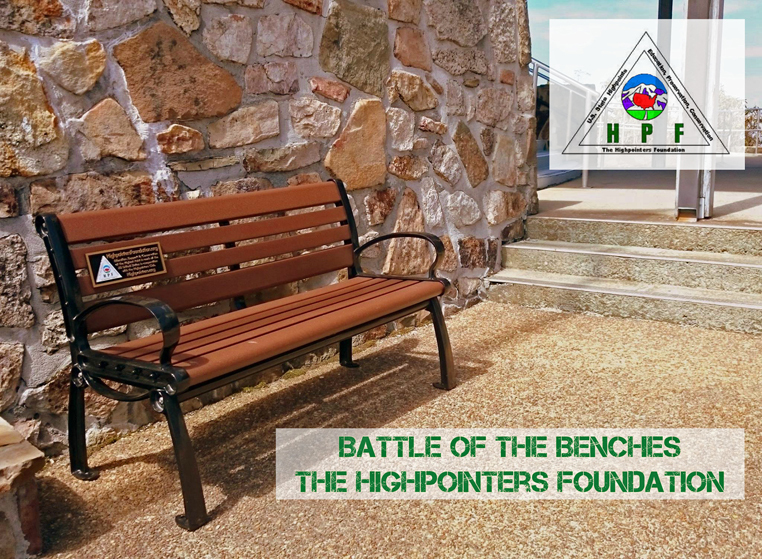 Sit on benches that the Foundation has placed at or near state highpoints. Tell the Highpointing World about it via photo ‘proof’ on Facebook or Instagram. Your photo should show the HPF logo, and your caption should include the date and state name. If you don’t use social media, email your photo to battleofthebenches@gmail.com. The first contest ended on July 22, 2017, and the winner was Terri Rowe who got considerable bragging rights, an Annapurna book by Maurice Herzog, and her photo on the Highpointers Foundation website. We reserve the right to install more benches anytime; that gives you more chances to win! That’s a total of 34 benches, with 30 installed. 22 of the installed benches are grey or beige recycled plastic with black steel frames. They all have a plaque that includes the HPF logo. some from the same manufacturer we use in WI, and some from different local sources. The CT, AZ, and SD benches are pre-sponsored already, and the ID bench has a sponsor waiting to pay for it. 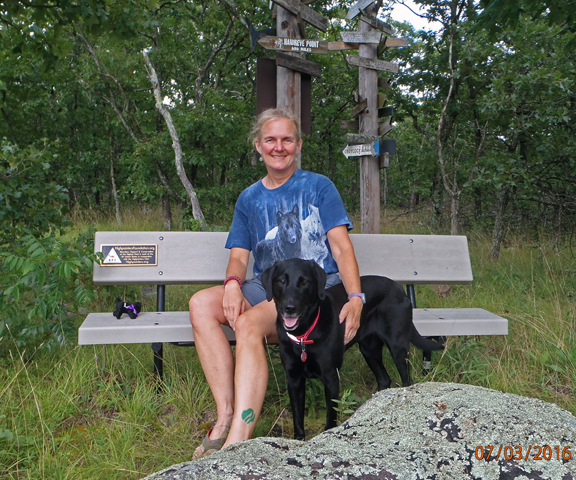 The OK bench in honor of Jean Trousdale is partly funded, and we are working on additional sponsorship. You must sit on at least 3 benches to get listed. Please submit visual photo ‘proof’ on Facebook or Instagram. and a permanent spot on the list of Bench Sitters forevermore. Terri Rowe - 25 benches! 2017 Winner! !